40" circumference A1 Net Buoys (approximate 12 ¾" diameter). The original POLYFORM™ all purpose buoy “all round” fender with its well-known blue, rib-reinforced ropehold. Produced from the best marine grade Vinyl material by use of Provinors in-house developed Welcotec moulding technology. The specially designed, solid and multiple rib-reinforced ropeholds guarantee the highest breaking strength available. POLYFORM™ buoys/fenders are designed to stand up to the most demanding use in commercial fishing, aquaculture and for general marking and floatation applications and they are a “must” for the protection of larger recreational crafts and yachts. Sold individually. *40" size refers to circumference of the buoy. 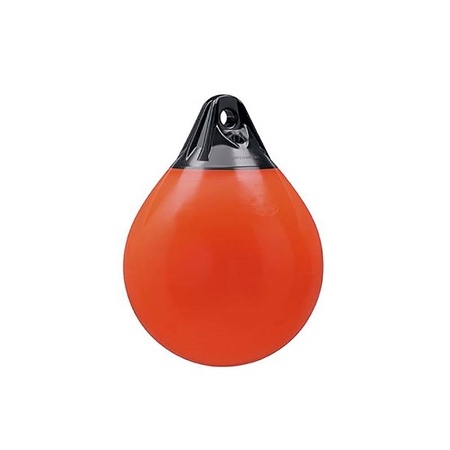 Versatile for many small boat jobs as fender, mooring and dive shotline floats.